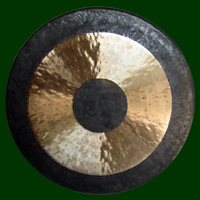 Andy is a member of the College of Sound Healing and a Registered Member of the Association of Crystal Healing Organisations. He practises from home and the therapy room at Ziggy’s, Sligo town. First Session €40 (60 - 90 mins) Subsequent Sessions: €35 (approx 60 mins.) Domiciliaries available. 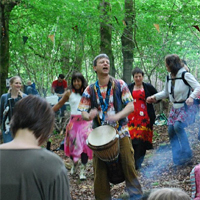 Drum and dance are energising and uplifting; their health benefits are enormous. Mondays at the White Hall, Keash & Wednesdays at the Northside Centre, Forthill, Sligo town. PLUS workshops for schools, youth groups, mental health and corporate development. Andy also works in partnership with Claire Louise Knifton of Transcendance Arts. Together they create beautiful 1- & 2-day workshops of dance, movement, self-discovery and hands-on creativity. drum, dance, song and laughter.